Reverse mergers successful examples. Discuss good successful examples of reverse mergers, and may be very briefly explain why they are successful? These are essential companies that highlight the track records of prosperous reverse mergers. Companies have utilized a reverse merger to go public and dominate the market and sustainable growth. The New York Stock Exchange reverse-merged into Archipelago Holdings for it to go public and achieve market success through the reverse merger process. Buffet purchased a textile manufacturing company and then merged with his insurance firm resulting in a successful merger due to his brand name. Waste Management used reverse merging to establish a sustainable waste management services through strategic business opportunities that quickly integrate with the company to establish successful business operations. Turner merged his outdoor advertising to establish the Turner Broadcasting System. Other successful mergers use brand names in order to ensure that the reverse merging is sustainable. The brand name corporations that have had successful reverse mergers include Texas Instruments, Waste Management, Tandy Corporation, and Burger King (Abbott, Gunny& Pollard, 2017). Reverse mergers help companies not listed in New York Stock Exchange to go public and save the trouble of going through the IPO process and SEC review and approval scrutiny. According to Adjei, Cyree& Walker (2008), reverse mergers help companies in going public and provide quick access to capital funding. These companies are successful because the reverse merger gave them increased corporate control in going public. The reverse merger has helped these companies to buy a shell company in their industries, which helps to build the brand image of the company. Reverse mergers have global companies to enter the US markets and become publicly traded companies. Therefore, reverse mergers are an essential strategy for going public. Buy from us this or a similar essays. Abbott, L. J., Gunny, K., & Pollard, T. (2017). The Impact of Litigation Risk on Auditor Pricing Behavior: Evidence From Reverse Mergers. Contemporary Accounting Research, 34(2), 1103-1127. Adjei, F., Cyree, K. B., & Walker, M. M. (2008). The determinants and survival of reverse mergers vs. IPOs. Journal of Economics and Finance, 32(2), 176-194. Arellano Ostoa, A., & Brusco, S. (2002). Understanding reverse mergers: a first approach. Cyber Security Policy At Walmart Inc.
Cyber Security Policy. According to Cisco. (2017). Cyber Security Management Programs, a cybersecurity policy should comprise of a range of steps cascading down from the management to the user with every participant’s role clearly defined. A company’s strategy that outlines its guidelines on cybersecurity protects itself and all its affiliates against the increasing threats of cyber attacks. Such a policy signifies the readiness and ability to shield against inappropriate misuse of data and points toward the transparency of operations as well as the proficiency of the system in use. . Flexibility being also a key component of such a policy ensures that it is up to date with the current requirements of the law and is consistent with those of the companies in similar statures. Cyber Security Policy . Walmart Incorporated privacy and security. Walmart Incorporated privacy and security explores a wide range of cybersecurity measures between itself and its associates. With the policy divided into some sections to define each one plainly, emphasis on the respect and security of personal information is placed. Options are presented to the user regarding the manner in which personal data is collected and what it will be used for. Also, conventional techniques to identify cons online are included with material on the various types, knowledge on self-protection against them and the relevant authorities to communicate to in case of encountering either of the scams mentioned above. Contact to the management is made available in the policy encouraging they be warned and enlightened in areas where there presents a wanting vulnerability while interacting with their system. Cisco. (2017). Cyber Security Management Programs. If right fronto-parietal stroke patient had better movement in left hand, would she be less likely to have I attention of that side. How will patients with right front of-parietal stroke have effected visual motor integration? Explain the safety risks you would have to consider with Parkinson’s disease patient when supporting him to engage in his chosen hobby of gardening. Considering Parkinson’s ‘s disease patient , what potential impact would his symptoms have on his ability to fully engage in weekly church? Neuro-development is the growth of the neurological pathways. Neurological developments enhance the intellectual performance of the brain. The study of the nervous system and nervous cell pathways is neuroscience (Hoffmann, Zimmermann and Spengler, 2015). This paper will explore parietal strokes and hand movement. In addition to stroke, parkinsonism and activities of daily living will be covered. The parietal lobe makes part of the cerebral cortex. The parietal lobe is involved in sensory, perception and vision. Touch, pain, and temperature receptors relay information to the parietal lobe through the thalamus (Camargo, 2017). Parietal lobe stroke affects the sense of touch and movements. Stroke in one hemisphere of the parietal lobe will affect perception in the opposite side of the body. Parietal stroke causes lack proprioception leading to involuntary movements. Proprioception is the ability to recognize parts of the body in space (Camargo, 2017). The brain’s ability and capacity to reorganize through the new neural connection formation is neuroplasticity. The neuroplasticity process can take a long time. The process involves synaptic pruning. Synaptic pruning is the ability of the brain to do away with the neural connections that are no longer useful. Life experience determines the process of synaptic pruning (Anderson, 2016). The unaffected part of the brain takes over the functions of the affected region. Left parietal lobe taking over the functions of the right frontal-parietal lobe makes the left hand exhibit voluntary movements (Anderson, 2016). Patients with right parietal stroke demonstrate a slower pace of recovery in gaining postural attention after the stroke. Lack of symmetry in visuospatial can worsen attention and posturing. The loss of sensation cannot limit the movement of the hand, but on the contrary, affects attention. Some things can be done with the loss of sensation. The voluntary movement achieved after the loss of sensation is not as flexible as before the loss of sensation (Bruno-Petrina, 2018). Parietal lobe plays a role in vision, which is involved in locating and finding the position of objects. When the stroke affects the right part of the parietal lobe, visuospatial orientation is lost. The patient suffers from a visuospatial loss in the left side of the body (Camargo, 2017). Parkinson’s disease is a disorder of movement. Parkinson’s disease is a neurologic disease. The disease is linked to decreasing in the level of dopamine in the brain. The patient is unable to control the complex and voluntary movement of the body. Rigidity, bradykinesia, and tremors characterize the disease (Brunner, Suddarth, and Squazzo, 2018). The patient is unable to control voluntary movement. The chair used by the patient should be secured to prevent swiveling. The patient should always be with a caretaker while gardening. The caretaker should always guide the patient to avoid injuries. The caretaker should assist the patient to grip garden tools properly. The patient should be advised to work slowly and avoid repetitive motions that can cause nerve the irritation (Wilkins, Brown and Barker, 2014). The impact of parkinsonism on church activities will also affect home activities because preparation for church activities starts at home. The patient is slow and at risk of falling in the shower. The patient has limitations in initiating purposeful motion like walking towards the church. If the church has staircases, patients are at risk of falling off the stairs. The stairs should have handrails (Wilkins, Brown and Barker, 2014). Tremors may pose a challenge to the patient while opening the Bible. Resting tremors tend to decrease with purposeful activities, but the speed of doing the action is reduced. Muscle rigidity can worsen the reading of the Bible. Tremors, bradykinesia, and rigidity may reduce the patients’ ability to engage in other activities of the church like singing (Brunner, Suddarth and Squazzo, 2018). In conclusion, neuroscience and neuro-development are sciences that explain the development of nerves and performance. Understanding the two will have an immense benefit to humanity. The understanding will boost management of stroke and Parkinson’s disease. Brunner, L., Suddarth, D. and Squazzo, K. (2018). Study guide for Brunner and Suddarth’s textbook of medical-surgical nursing. 17th ed. Philadelphia: Wolters Kluwer. Hoffmann, A., Zimmermann, C., and Spengler, D. (2015). Molecular epigenetic switches in neurodevelopment in health and disease. Frontiers in Behavioral Neuroscience, 9. Wilkins, A., Brown, J., and Barker, R. (2014). SCA2 presenting as levodopa-responsive parkinsonism in a young patient from the United Kingdom: A case report. Movement Disorders, 19(5), pp.417-595. Describe the diagnosis and staging of cancer. Approach to the care of cancer. Cancer causes different symptoms in patients. People with symptoms that last more than two months are advised to visit their doctors for further examination. Cancer is a leading killer disease that can affect anyone (Shehada, 2014). If medical tests do indicate any problem, more examinations are done to determine the stage of cancer. Stage refers to the degree of cancer, depending on factors such as whether it has spread to other parts of the body and its size. Once the doctor determines the stage, it is easy to create a treatment plan and more actions to stop it from spreading to other parts. Knowing the type of cancer and extent gives one control over the situation and dealing with the diagnosis. Cancer causes several symptoms that only doctors can authenticate whether they result from cancer or other complications. Staging refers to the act of gathering information about different cancers such as the size of the tumor and treatment options. The stage of cancer determines the type of treatment a patient will undergo. Prognosis refers to the seriousness of cancer and the chances of survival. Unfortunately, some patients find out too late that they have cancer and nothing can be done for them. Hence, people are encouraged to undergo regular screening to help in early detection of cancer. Staging helps doctors know the extent of cancer one has and its location in the body. For instance, the treatment plan for early cancer may be radiation or surgery. However, patients in advanced stages may need chemotherapy to avert the situation. When trying to determine the level of cancer in the body, the size of the tumor, growth and the spread are analyzed to assess the condition of the patient. Tumors near lymph nodes may be analyzed to gauge the health status of the patient. Doctors also analyze other parts of the body to determine whether cancer has spread. Different examinations are used to determine the stages of cancer (Ackerman, 2016). Depending on location, doctors can use imaging tests such as x-rays, MRIs, CT scans, or ultrasound to stage. A biopsy is used to confirm the diagnosis. Biopsies are done during surgeries where doctors remove small pieces of tumors through a needle. Main types of cancer staging include clinical staging and pathological staging. Clinical staging is an estimate of the degree of cancer depending on the outcomes of imaging tests, physical exams, and tumor biopsies. Clinical staging is helpful in determining the right treatment plan for patients. When surgeries are done, doctors can know pathological stages, which rely on findings of imaging tests and physical examinations. Clinical staging gives doctors more information to use to predict response to treatment. Cancer treatment has complications and side effects. Side effects occur when treatment causes problems to the patient, instead of relief. There may be complications after surgery, which makes it difficult for patients to go back to normal routines (Prat, 2014). Long-term side effects after surgery depend on the kind of cancer and its location in the body. People suffering from Hodgkin lymphoma undergo surgical spleen removal, and this exposes them to infections. Moreover, survivors of bone cancers report emotional and physical complications after losing their limbs. Patients have a difficult time coming to terms with the loss of limbs. People who undergo abdomen or pelvis surgeries may not be fertile in the future. Another complication of cancer is pain during treatment. Patients experience much pain in the course of treatment, especially if treatment is advanced. Patients bear the pain, which may not go away after treatment. Patients are only given painkillers to manage pain, and this does not eliminate the problem. Another complication of cancer is fear and anxiety. One cannot help but wonder what will happen to in future when diagnosed with cancer. Fear of the unknown is stressful and can prevent one from responding to treatment. Common side effects of cancer include loss of appetite, anemia, excessive bleeding, constipation, and dehydration. Anemia makes one feel exhausted, have short breath, and feel lightheaded. One may feel dizzy and unable to do regular chores. Cancer treatment such as radiation therapy and chemotherapy tend to affect the bone marrow, thereby resulting in anemia. When the body does not produce enough red blood cells, an individual is said to be anemic (Davis, 2014). Constipation is a popular side effect of cancer treatment that some patients fail to report. Infrequent bowel movements are painful to deal with, and one may be bloated or have stomach cramps as well. Chemotherapy causes constipation and patients are advised to stay hydrated to avoid this problem. Eating foods rich in fiber and staying active are some of the steps patients can take to overcome constipation. Another side effect of cancer treatment is fatigue, where one feels extremely tired and unable to do anything. Immunotherapy, chemotherapy, and radiation therapy can cause fatigue and feeling run down. People are advised to balance work and rest and to eat well. To lessen the physical and psychological side effects of cancer, families are advised to look after loved ones suffering from cancer or hire a professional to manage the symptoms. People who have cancer may have experience limitations in taking care of themselves, hence the need to have a caregiver around (Kyriazi, 2013). Moreover, ensuring that cancer patients eat balanced diets and stay hydrated are essential to good health. Furthermore, being surrounded by family members lessens psychological effects patients experience when suffering from cancer. Doctors should monitor patients regularly to ensure that they respond to treatment. If they are discharged, there should be regular visits to assess their condition. Cancer is a killer disease that denies people the chance to live fruitful lives. Stages of cancer help in identifying locations and size of tumors. Doctors can use CT scans, MRIs, or X-Rays to determine whether patients have cancer. Complications of cancer include fear and anxiety, pain, and uncertainty of treatment results. Side effects include fatigue, dehydration, constipation, anemia, and loss of appetite. Maintaining a balanced diet, drinking fluids and resting help in alleviating effects of cancer. Ackerman, L. V., Del Regato, J. A., & Spjut, H. J. (2016). Cancer: diagnosis, treatment, and prognosis (Vol. 783). St. Louis: Mosby. Davis, K. M., Kelly, S. P., Luta, G., Tomko, C., Miller, A. B., & Taylor, K. L. (2014). The associations of long-term treatment-related side effects with cancer-specific and general quality of life among prostrate cancer survivors. Urology, 84(2), 300-306. Kyriazi, V., & Theodoulou, E. (2013). Assessing the risk and prognosis of thrombotic complications in cancer patients. Archives of Pathology and Laboratory Medicine, 137(9), 1286-1295. Prat, J., & FIGO Committee on Gynecologic Oncology. (2014). Staging classification for cancer of the ovary, fallopian tube, and peritoneum. International Journal of Gynecology & Obstetrics, 124(1), 1-5. Shehada, N., Brönstrup, G., Funka, K., Christiansen, S., Leja, M., & Haick, H. (2014). Ultrasensitive silicon nanowire for real-world gas sensing: noninvasive diagnosis of cancer from breath volatile. Nano letters, 15(2), 1288-1295. Radio Frequency Identification (RFID) Technology; Why is RFID Technology better than Bar Code Technology? There are high chances of RFID technology completely replacing traditional labeling technologies such as bar codes in the near future. This is because of the numerous advantages of the RFID as compared to barcodes, thus making RFID most preferred for added identification value (Ilie-Zudor et al., 2006). RFID technology involves the affixing of a tag to a product for purposes of identifying and tracking the product through radio waves. It consists of a scanning antenna, a transceiver with a decoder for interpreting data, and an RFID tag referred to as a transponder which is pre-set with information (Roberts, 2006). The antenna is designed to send radio frequency signals to the transponder. A barcode, on the other hand, represents visual data which has been scanned and interpreted for information. Every barcode has a particular code operating as a tracking tool for products. A barcode is represented via a sequence of lines or any other preferred shape. Barcodes can be scanned by barcode readers alongside newer technology on devices such as desktop printers and smart phones. RFID is better than barcodes because of a number of reasons. First, RFID tags operate faster than barcode scans. In a research conducted by the Life Apex Corporation (2014) where the capture of an inventory of 12 pill bottles was timed against the use of tradition pen and paper method, barcode scan, and RFID scan. Whereas the pen and paper method took 2 minutes and 16 seconds to complete, barcode scanning took 37.9 seconds, while RFID scanning took one second to read all the 12 tags. Essentially, RFID is capable of reading approximately 40 tags at the same time. The second advantage of RFID is that it provides for accurate inventories in adverse circumstances. The fact that RFID technology uses near-field technology instead of laser-based line-of-sight places it in a better place to accurately scan a pallet or box consisting of many tagged items (Roberts, 2006). In addition, whereas a barcode needs to be attached to a scanning lesser at every point in a warehouse, storeroom or entire facility, RFID antennas and scanners can be efficiently used in such a scenario for passive and automatic registration of inventory movement. The third reason for consideration of RFID technology is that it guarantees accuracy in most real-world situations. Employees in most busy tool cribs, shipping centers and warehouses charged with the use of identification systems have found that the line-of-sight, one-by-one barcode technology is slower and less convenient compared to the use of RFID. The accuracy of RFID tags is indicated by their ability to read information from a greater distance than bar codes. It is possible to accurately read information using RFID from as far as 300 feet away. Barcodes can only read information within a range of 15 feet. RFID tags are also very efficient in harsh environment such as high temperatures, moisture, around chemicals, and outdoors. Fourth, when considering the identification technology to be used, the aspect of security is very vital. Every business would prefer to utilize technology that guarantees security for confidential information. RFID technology offers high levels of security due to the ability to encrypt data, use passwords for protection, or remove data permanently using the “kill” feature. Barcodes, on the other hand, are less secure since they can be easily forged or reproduced. Fifth, the efficiency of technology is based on whether it is labor intensive. Once an RFID technology has been set up, it can operate effectively with minimal human participation, thus reducing on labor costs and human errors (Kaur et al., 2011). Thus, an organization using RFID does not have to worry about the extra labor costs required for operation of the technology. Barcodes, on the other hand, are quite demanding in terms of labor costs as they need to be scanned individually. Lastly, another aspect that makes RFID tags better than barcodes is that they carry large data capabilities such as expiry dates, shipping histories, product maintenance, and even measurements of environmental factors such as temperature. The information can be programmed to the RFID tag. Barcodes do not contain read and write capabilities. They only have information on the product and manufacturer. The main argument against RFID has been the fact that it is costly. According to Kaur and colleagues (2011), RFID tags are not as cheap as conventional labeling technologies such as barcodes, but they guarantee added value. Today, the use of RFID is growing in size due to its efficiency in large-scale adoption for management of consumer retail goods. Additionally, with the ongoing efforts to lower the costs of RFID, once the cost component falls low enough, RFID will become the most attractive economic proposition for both small-scale and large-scale enterprises. Most large-scale enterprises have switched from traditional identification technologies to RFID technology which guarantees more effectiveness, efficiency and accuracy. Despite the large costs involved in their set up, RFID tags are still preferred due to the fact that they save time, reduce on labor costs and human errors, guarantees more security, and can process more data compared to barcodes. Give us an opportunity to research for you! Ilie-Zudor, E., Kemeny, Z., Egri, P., & Monostori, L. (2006, September). The RFID technology and its current applications. In Conference proceedings of the modern information technology in the innovation processes of the industrial enterprises (MITIP), ISBN (pp. 963-86586). Kaur, M., Sandhu, M., Mohan, N., & Sandhu, P. S. (2011). 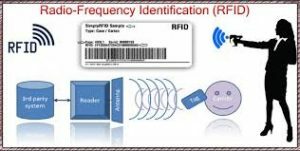 RFID technology principles, advantages, limitations & its applications. International Journal of Computer and Electrical Engineering, 3(1), 151. Roberts, C. M. (2006). Radio frequency identification (RFID). Computers & security, 25(1), 18-26. Medical Testing of Prisoners. Recent research has discovered that while HIV infection is relatively high in prison, the majority of those infected arrive at the prison with the disease. With a five times higher infection rate within prisons when compared with the general population and similarly high rates with Hepatitis C, many suggest allowing for controlled experimentation on inmates to test drugs to combat these two infections. Do you agree with Dr. Albert M. Kligman that prisoners should be again involved in medical trials? Develop a position paper addressing both sides of the issue. Provide a historical overview of the significant benefits and detriments involving medical testing of prisoners. Include examples to support your position. Prisons are overcrowded and underfunded in the United States (Morin, 2016). With over 2.2 million people incarcerated in the few prisons available, the burden of infectious disease and substance abuse disorders is heavy in the justice system. Diseases such as HIV and hepatitis are prevalent and are likely to spread if measures to reduce them are not devised. Evidence-based practices are being used because research in the facilities is strictly regulated the law. It is explained by the historical injustices and abuse subjected to the prisoners in the past during research. It is only through clinical research that the prisoners can access proper treatment plans for the diseases (Schnittker, Uggen, Shannon, & McElrath, 2015). It is in this light that this essay is written. A focus is given to both sides of the argument. On the one hand, allowing for the research will enhance the quality of life for the prisoners suffering from infectious diseases. On the other hand, there is a chance that abuse and protests from the public will characterize the exercise. This essay affirms that the use of controlled experimentation should be encouraged to reduce cases of infectious diseases in prisons because it can be done in a way that enhances the well-being of the prisoners. In the 1970’s, almost 90% research in the pharmaceutical field was done on prisoners (Schnittker, Uggen, Shannon, & McElrath, 2015). The group was subjected to biochemical research. They were observed to determine their reaction to diet drinks and chemical welfare agents. Most of them were not asked for consent. They were also not treated for pain. As a result, most of the prisoners suffered from adverse health impacts. They were severely abused until the federal bureau of prisons, the United States national commission for the protection of human subjects of biomedical and behavioral research and other bodies intervened. The bodies were responding to a public outcry over the Tuskegee syphilis study. It was done with the aim of investigating the impact of untreated syphilis. The participants were not informed that they would not get an effective cure. The prisoners suffered from the consequences of untreated syphilis while believing that they were receiving treatment. Standards were developed to regulate research on prisoners (Iroh, Mayo, & Nijhawan, 2015). Henceforth, research declined. 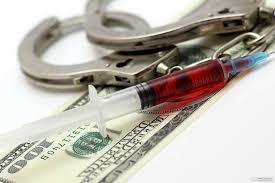 It has led to the increase of HIV and Hepatitis C in the prisons. Allowing for controlled experimentation on inmates may help solve the problem amicably. The historical abuse of the prisoners in clinical research has been the primary reason why controlled experimentation has been rejected in the United States and other nations. The process is often exploited by doctors who earn much profit by conducting research at low cost and producing medical products worth much money (Schnittker, Uggen, Shannon, & McElrath, 2015). Just as it the case with the Tuskegee study, the ethical questions are likely to be raised in this case. It can be difficult to determine the motivation of the pharmaceutical companies to conduct the research. While some of them will help the patients to access treatment, others are driven by the desire to make profits. Additionally, the injustices in the United States’ criminal justice system do not allow for the controlled experimentation. There has been an outcry that the numbers of the African-American prisoners are significantly higher than other populations (Levy & Larney, 2015). Requiring the prisoners to go through the experimentation can be seen as a move to advance racism in the country. The Tuskegee study raised such questions because the prisoners were of African-American descent. More so, the conditions in the prisons encourage the spread of diseases. The facilities are overcrowded, leaving room for the spread of infections. Solving such a problem will lead to long-term solutions as opposed to conducting clinical trials (Iroh, Mayo, & Nijhawan, 2015). The prisoners are also not in a position to negotiate for better healthcare. They are vulnerable and will hence give consent for the researchers to conduct the tests. It is particularly true if they feel they will be segregated from other prisoners. The prisoners must, therefore, be protected by the state. In any case, the medical practitioners are at liberty to use animal testing to try new drugs and methods of treating infectious diseases. It takes at least eight years for a new drug to be approved by food and drug administration agency in the United States. Diseases such as HIV and hepatitis in prison can spread to the degree that they cause the devastating impact on prisoners. The period is lengthy because of the involvement of animal testing. Use of human testing, on the other hand, will reduce the total time of approval. Levy and Larney (2015) indicate that human testing helps in producing therapeutic agents explicitly meant for humans. The method is likely to produce accurate and reliable results. Controlled experimentation can be done in such a way that it does not lead to the abuse of the prisoners (Martin, Vickerman, Dore, & Hickman, 2015). It involves seeking for the consent of the prisoner to be involved in the trial. They must have a legal capacity to get involved. Animal testing must have been conducted to determine whether human testing is worthwhile conducting. Physical and mental injuries must be avoided. The trials should be done in such a way that the results are beneficial to society. The persons conducting the trials should be qualified. The group of study in the research also justifies the use of controlled experimentation. Darke, Cresswell, Mcpherson, and Hamoodi (2015) argue that the prisons should consider doing the tests on the death row inmates. The penalties are costly for prisons. There have been studies that have cast doubts as to how much the method is effective in reducing the levels of crime in society. It has not acted as the deterrence that it was meant to be and hence, it is worthwhile to consider involving the prisoners in experiments. The counties will save on costs while the prisoner’s well being will be improved. Even more, the prisoners stand to gain from the results of the study. It is, therefore, not exploitative or abusive but rather beneficial. Controlled experiments on HIV and Hepatitis C in prisons should be encouraged because it does not have to lead to exploitation and abuse yet enhances the well-being of the prisoners. The prevalence of diseases in prison requires that evidence-based practices be devised. Animal testing takes a long time and may not offer accurate and reliable results. Human testing, on the other hand, is approved within a short time. The prisoners can participate in a practice that enhances their well-being. The case against the experiment is, therefore, weak because it assumed that Exploitation and abuse must occur. Measures such as seeking consent and involving the right practitioners can be taken during research to avoid mental and physical injuries. Darke, J., Cresswell, T. Mcpherson, S. & Hamoodi, A. (2015). Hepatitis C in a prison in the north east of England: what is the economic impact of the universal offer of testing and emergent medications? Journal of Public Health, 38(4), 554-562. Iroh, P. A., Mayo, H. & Nijhawan, A. E. (2015). The HIV care cascade before, during, and after incarceration: A systematic review and data synthesis. American Journal of Public Health, 105(7), 5-16. Levy, M. H. & Larney, S. (2015). The ethics of hepatitis C treatment as prevention among prisoners. Hepatology, 61(1), 402. Martin, N. K., Vickerman, P., Dore, G. J. & Hickman, M. (2015). The hepatitis C virus epidemics in key populations (including people who inject drugs, prisoners and MSM): The use of direct-acting antivirals as treatment for prevention. Current Opinion in HIV and AIDS, 10(5), 374-380. Morin, K. M. (2016). Carceral space: Prisoners and animals. Antipode, 48(5), 1317-1336. Schnittker, J., Uggen, C., Shannon, S. K. & McElrath, S. M. (2015). The institutional effects of incarceration: Spillovers from criminal justice to health care. The Millbank Quarterly, 93(3), 516-560. Quality and safety are the core principles in health care that must be driven by information. This assessment task is designed to help you build skills in finding and understanding research evidence which can be used to improve nursing practice. 1.What impact can teamwork have on patient safety? 2.What role does nursing leadership play in the delivery of safe patient care? 3.What challenges are outlined in the delivery of safe patient care? 4.Why is it important for nurses to lead improvements in the delivery of safe patient care? Quality health care meets the minimum set standards of operation. Safe health care causes no harm to the patient. The two concepts of quality healthcare and patient safety are inseparable. This paper discusses various aspects of quality and safety in healthcare (Tweedy, 2014). According to White, Brown, & Terhaar, (2016), a team is a group of people working towards a common goal. With increasing specialization on care and workforce strategies, there is a need for team work to ensure client safety. Effective teamwork is necessary to minimize medical errors. A multidisciplinary approach is required in making decisions on patients’ health. Each health worker is specialized in his or her field. Co-ordination of all the skills ensures the maximum quality of care delivered to patients. Through collaboration, healthcare workers handle ambiguous situations, make complex decisions and share duties. Also, teamwork helps team members correct and learn from each other and minimizes staff burnout syndrome, hence, increasing the quality of care offered. What Role Does Nursing Leadership Play In The Delivery Of Safe Patient Care? According to Prescher, Hamilton, & Rozenblit (2017), nursing leadership is vital in delivering safe patient care. Nursing leadership handles the workforce which is in direct contact with patients all the time. Good nursing leadership motivates staff leading to better patient outcomes. Inversely, poor leadership lowers the morale of the nurses, leading to reduced services to patients. Nurse leaders who value quality and safety in patient care implement leadership strategies aimed at fostering patients’ safety. Good nurse leaders are exemplary to their juniors, creating a culture of quality care. Nursing leaders use evidence based approach to come up with feasible ways of providing quality and safe care and make decisions directly affecting patient care without compromising their safety or demeaning their staff (White, Brown, & Terhaar, 2016). Nurse leaders play a role in effective work force through planning and policy development by collecting data used in transforming nursing practice, education, and leadership. Nurse leaders organize job training for their staffs to increase their competence (Tweedy, 2014). What Challenges Are Outlined In The Delivery Of Safe Patient Care? According to McCay, Lyles, & Larkey (2018), practice environment poses a threat to patient safety about management, workforce and organization culture. Management may adopt management strategies which create an unfavorable working environment. The shortage of qualified professionals in hospitals results in stressful working environments affecting patient safety negatively. A high patient-nurse ratio is a barrier against safe and personalized nursing care. A significant portion of the nursing workforce is aging and cannot endure an increased workload, hindering the delivery of the best quality of care to patients. Failure to report errors in nursing practice is a challenge to the delivery of quality patient care. Failure to report errors in nursing practice increases the probability repetition of same or similar clinical errors in the future, jeopardizing the patients’ safety (Tweedy, 2014). Health Information Technology is a challenge against safe and personalized nursing care. Information technology in nursing care reduces the amount of time the nurse interacts with the patient. The introduction of new technologies to a hospital setting without prior training to nursing staff compromises patients’ safety. Teamwork and communication are important in providing patient safety. However, communication breakdown may result in errors in the patients’ safety. A communication breakdown most likely occurs during changing of shifts and patient transfers between facilities (Needleman, 2017). Why Is It Important For Nurses to Lead Improvements in the Delivery Of Safe Patient Care? According to Tweedy (2014), nurses understand and have practical experience and expertise in innovative models of care such as financial, technical and political aspects to fill clinical and financial gaps within the health care delivery system. Nurses have proven solutions but need collaboration with other healthcare professionals to achieve patients’ safety. Nurses are the majority of the healthcare workforce and thus influence the quality of care and treatment provided and patient outcomes. Safe patient care improves patient outcomes and minimizes operational costs. The nurses implement nursing care and collaborate with other healthcare professionals. Nurses have knowledge and awareness of personal interrelationships with patients and their families (McCay, Lyles, & Larkey, 2018). Order a paper from us today! McCay, R., Lyles, A. A., & Larkey, L. (2018). Nurse Leadership Style, Nurse Satisfaction, and Patient Satisfaction: A Systematic Review. Journal of nursing care quality, 33(4), 361-367. Needleman, J. (2017). Expanding The Role Of Registered Nurses In Primary Care. Registered Nurses: Partners In Transforming Primary Care, 113. Prescher, H., Hamilton, A. J., & Rozenblit, J. W. (2017). Systems Design, Modeling, and Simulation in Medicine. In Guide to Simulation-Based Disciplines (pp. 209-234). Springer, Cham. Tweedy, J. T. (2014). Healthcare Safety for Nursing Personnel: An Organizational Guide to Achieving Results. Productivity Press. White, K. M., Dudley-Brown, S., & Terhaar, M. F. (Eds.). (2016). Translation of evidence into nursing and health care. Springer Publishing Company. Ethical Dilemma in Health care. The case study selected is on the ethical dilemma of the participation of nursing and medical professionals in the lethal execution process. The nursing professional ethics describe the role of nurses as alleviation of suffering, maintenance of good health and assistance in peaceful death through palliative care. The case study presents facts about previous cases where the untrained correctional staff members have erroneously administered the lethal drugs used in the execution of the lethal death penalty. Intervention to end the erroneous administration of the lethal agents should be the supportive role of that correctional the nurses should perform. However, nursing professional bodies have threatened to take disciplinary actions against nurses who participate in the process of executing prisoners through lethal drug administration (Hooten & Shipman, 2013; Johnson, 2008). Further, according to the right judgment stage of the ethical discussion making model, the moral judgment about the ethical dilemma presented is the nursing ethical perspective. The ethical judgment is concerned about the legal obligation imposed on correctional nurses to participate in the execution process as part of their professional duties. The ethical behavior that occurs in the case is manifested through the refusal of nurses and medical professionals to participating in the process of execution of prisoners sentenced to death. The ethical behavior is as a result of adherence to the existing professional code of ethics (Chorus, 2015). The cause of the issue is disagreement between the legal system and the nursing code of ethics. The legal system requires nurses to participate by correctly administering the lethal agents in death penalty execution. The nursing profession prohibits the participation of nursing professionals in causing death (Hooten & Shipman, 2013). The issue affects nursing professionals, medical practitioners, and leaders of correctional facilities. Nursing and medical professionals are involved since they are the only trained personnel in the administration of the lethal agents used in the execution. Factors that have contributed to the emergence of the ethical dilemma of nurses’ role in lethal execution include the history of an erroneous administration of the lethal execution (Johnson, 2008). The erroneous drug administration is due to lack of sufficient training and experience of prison technicians who carry out the lethal execution (Hooten & Shipman, 2013). The communication styles used in the article are appropriate for the topic. The authors use historical examples of the cause of the problem, in the administration of lethal agents in execution. The article uses numerical figures to quote research studies that have been done on the topic of the dilemma of nurses participating in a lethal execution. The author communicates through rhetorical questions in providing a solution to the ethical dilemma presented. Through the article, the author communicates through probing the reader on the roles of the nurse on ending prisoner’s suffering during execution. The author poses questions on whether the nurses’ involvement in execution could translate into the termination of the suffering of prisoners during lethal execution (Johnson, 2008). The article effectively presents a discussion on the issues of a dilemma on nurses’ participation on a lethal execution of prisoners sentenced to death. The author presents the history of lethal execution, the method used, numerical figures and instances of errors in lethal execution and the ethical dilemma that presents to nurses (Johnson, 2008). The authors propose that the nursing professional bodies should agree with the legal system on the ethical dilemma surrounding participation of nurses in lethal execution. This solution enhances the professional collaboration between nursing, medical and legal profession about the dilemma of lethal execution (Hooten & Shipman, 2013). Consult us today. Chorus, C. G. (2015). Models of moral decision making: Literature review and research agenda for discrete choice analysis. Journal of choice modelling, 16, 69-85. Hooten, J., & Shipman, D. (2013). Comment: The ethical dilemmas of nurses’ participation in prisoner executions. Nursing Ethics, 20(4), 491. Johnson, K. W. (2008). Legal Briefs. AANA journal, 76(6), 417. Euthanasia Clinical Roles. Why is euthanasia such a controversial issue? What is the main idea on both sides of the argument? • How does religion impacts one’s view on euthanasia? • Does the legal system have the right to intervene in one’s decision? • Should there be an age criteria and specific medical diagnosis? If so, why? Euthanasia has attracted a continued debate between the proponents and opponents of the practice. Euthanasia is a practice in which a patient makes voluntary request persistently for medically assisted suicide. Following the patient’s request, the physician prescribes lethal pharmacological agent. The patient is initially allowed to take the drug orally. In cases where the patient cannot orally take the drug, the physician administers the drug (Kim, Vries, & Peteet, 2016). The following essay discusses the debate on euthanasia, the religious and legal aspects of euthanasia, and age criteria and specific medical diagnosis that warrant euthanasia. Euthanasia is a controversial issue all over the world. Some countries have legally allowed the practice of euthanasia, for instance, The Netherlands. In several other countries, euthanasia is not legally allowed although there are sections of societies proposing for its legalization. Other sections of society are opposed to the opinion of legalizing euthanasia (Harris, 2018). Proponents of euthanasia argue that patients have the right to determine the fate of their lives. The sections of the society that advocate for euthanasia argue that the law that governs family planning, the right to life, marriage, and provision of health care services is the same law that should legalize euthanasia. The proponents of euthanasia argue that the law on autonomy should be enacted on euthanasia. In other words, individuals should be granted autonomy to give consent for termination of their lives (Kim, Vries, & Peteet, 2016). Besides, proponents of euthanasia argue that euthanasia is best regulated when the government enacts a law to permit the practice. According to this argument, some form of illegal patient-assisted-suicide could be practiced in countries where euthanasia is illegal. In order to control such practice, euthanasia should be legalized. Part of the legalization should be to specify on the circumstances under which euthanasia is carried out. Such a law specifies the methods used in executing euthanasia. Therefore, legalization of euthanasia is a way through which the practice is controlled (Harris, 2018). The opponents to euthanasia argue that there are alternative ways to relieve symptoms of terminal illnesses. There are already existing alternative ways to manage the symptoms of terminal illnesses such as palliative care (Zimmermann, 2016). According to the opponents, legalization of euthanasia will increase the chances of clinician’s initiated patient suicide. The law permitting the implementation of euthanasia will potentially give physicians control over decisions on ending patients’ lives. The law increases the probability that clinicians decide the circumstances under which patient life is worth or not worth living. Most of the religions oppose the practice of euthanasia. Religions view life as sacred. Most common religions hold that life should be preserved. Therefore, religious believers maintain the idea that life should be perceived as sacred. Religious believers are opposed to the practice of euthanasia based on their view of life. Followers of religious ideologies believe that it is not their role to decide on the fate of their lives (Fletcher, 2015). The legal system has the right to intervene in one’s decision. The law intervenes in one’s decision under specific circumstances. The law also does not permit minors to make decisions concerning their care. Mental capacity limits the ability of the individual to make decisions on euthanasia (Keown, 2018). According to my own opinion, there should be an age limit for persons who make decisions on euthanasia. Minors should not be allowed to make decisions on euthanasia. The medical conditions that should warrant requests for euthanasia should also be specified. The indicated medical diagnosis should include conditions whose prognosis is poor or conditions that are associated with severe pain, for instance, metastasized tumors (Harris, 2018). Contact us for a top paper on the same or different topic. Fletcher, J. F. (2015). Morals and Medicine: the moral problems of the patient’s right to know the truth, contraception, artificial insemination, sterilization, euthanasia. Princeton University Press. Harris, J. M. (2018). Euthanasia: grief and bereavement. In BSAVA Manual of Avian Practice (pp. 187-190). BSAVA Library. Keown, J. (2018). Euthanasia, ethics and public policy: an argument against legalisation. Cambridge University Press. Kim, S. Y., De Vries, R. G., & Peteet, J. R. (2016). Euthanasia and assisted suicide of patients with psychiatric disorders in the Netherlands 2011 to 2014. JAMA psychiatry, 73(4), 362-368. Zimmermann, N. (2016). A matter of life or death: the euthanasia debate under a human rights perspective. ex ante, (2), 41-48. Community Corrections. A community correction is a program to supervise an offender outside of prison or jail. Courts and agencies administer the program with legal power and authorities in order to enforce sanctions in case the offender fails to follow the guiding instructions. A community correction is an action such as probation as well as correctional control in the community rather than prison or parole and jail (Alarid, 2016). This is a limited period and controlled prison release. A community correction program is used due to increased reliance on prison for offender populations in order to reduce the prison crowding. Community corrections are a sufficient effort to manage offenders while on probation responsibly. The mission of community correction is to enhance public safety by managing criminals effectively in the community. Community Corrections. The goals of community corrections are to provide punishment, rehabilitation, counseling and reintegration services for handling offenders in the community. This enhances the goal of public safety. 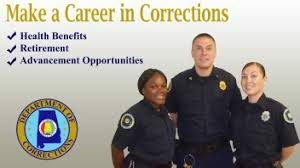 The primary goal of community corrections is to accomplish a public safety through lessened recidivism by the management of offenders effectively in the community. The goals of community correction agencies are to reach out to collaborative partners in order to offer additional resources and assistance essential to enhance the success of offenders. Besides rehabilitation as one of the primary goals of community corrections, community corrections perform of critical objectives such as intermediate punishment, offender re-integration, community protection as well as serving as a cost-effective alternative to imprisonment (Alarid, 2016). Different kinds of community corrections would benefit Mr. Greene. Probation provides the best corrective measures for Mr. Greene in order to get motivated and focus on personal development and growth. Secondly, the court can use intermediate punishment as well as find assignments that appeal to Mr. Greene and his friends. It is essential to establish the right match that will spark the group and interest Mr. Greene to get more motivated and engaged in personal development. Thirdly, it is useful to find a project that will have value to the group that will make sense and motivates them to focus on other valuable objectives that will enhance their career development. The corrections should, therefore, have full conscious of personal and team dynamics. This will establish the best intrinsic motivators to Mr. Greene and his friends in order to achieve the character of their workplace relationships. Pretrial can also be used to minimize the disruption of their criminal proceeding. Mr. Greene can be put in pretrial detention and doing an age-sensitive risk assessment that will recognize the behavioral malleability of the group as well as their potential for change. The court can use pretrial strategy through mentorships and community or family members for providing social supports in the specialized group. The community should provide work-force development opportunities for education programming as well as separating the boys from the group whenever possible (Clear, Reisig & Cole, 2018). Mr. Greene should focus on programs that should be individualized that are developed in collaboration with his opinions as well as structured around achievable goals. This should include program plan, adult electronic monitoring, and residential program. He should set small and achievable goals in order to gain confidence and optimism about his abilities. The case plan should utilize concrete support for Greene to encourage and help him search for education and employment opportunities. He should engage in community programs that have reduced supervision periods, but with more rehabilitative programs in order to integrate the offenders with community partners that will provide opportunities inherent to his potential to grow. Greene should also work with community organizations which have partnerships with courts in order to facilitate quick transition as well as accelerate opportunities from supervision to promoting specialized growth (Holtfreter & Wattanaporn, 2014). With community correction programs, Greene will learn how to plan his day effectively. He will enhance accountability for his and concentrate on more positive programs for career development and achieve personal goals. He will enhance the public safety through intensive supervision and services that will not compromise the safety of the community. Besides, Greene will enhance family stability as he will be able to meet his family obligations as well as ensuring the family unit remains intact (Chadwick, Dewolf & Serin, 2015). In participating in the programs identified, Greene will gain the opportunity to effectively transit to the community and foster family unit as well as meet his family obligations. The program plan will provide opportunities to educational and personal outcomes that will enhance his productivity and avoid new criminal offenses. Besides, Mr. Greene can achieve full rehabilitation and focus on more productive activities and objectives that promote his career and personal development or growth (Clear, 2018). The interventions will include reduced recidivism and reduced anger as well as reduced risk for a conviction for both violent and general offending crimes. Also, engaging in career development and job training will result in employment and reduced recidivism. Therefore, Mr. Greene will achieve change behavior and focus on career development and job training that will prevent criminal behavior and achieve high chances of employment training programs. This will grow his career and avoid activities that might amount to criminal sentencing all disintegrate the unity of his family. Place an order now and enjoy huge discounts. Alarid, L. F. (2016). Community-based corrections. Cengage Learning. Chadwick, N., Dewolf, A., & Serin, R. (2015). Effectively training community supervision officers: A meta-analytic review of the impact on offender outcome. Criminal justice and behavior, 42(10), 977-989. Clear, T. R. (2018). The community justice ideal. Routledge. Clear, T. R., Reisig, M. D., & Cole, G. F. (2018). American corrections. Cengage Learning. Holtfreter, K., & Wattanaporn, K. A. (2014). The transition from prison to community initiative: An examination of gender responsiveness for female offender reentry. Criminal Justice and Behavior, 41(1), 41-57.